The twenty-first century has witnessed many advances in the field of dentistry; however, none can surpass the revolution started by the first and still foremost among the virtually invisible orthodontic systems, Invisalign®. 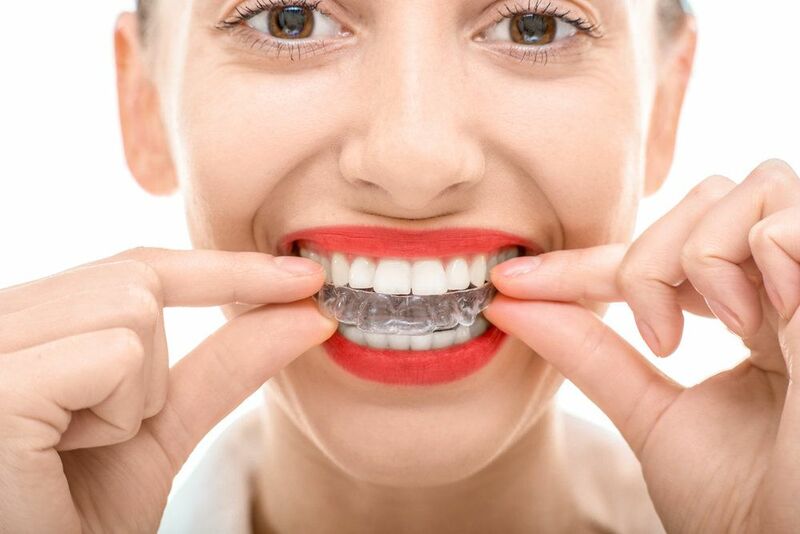 Since its inception, the Invisalign® removable aligner system has allowed millions of teens and adults to straighten their teeth and improve their bites discreetly, without having to wear cumbersome, conspicuous, and often painful metal brackets and wires. Even better, because Invisalign® aligners can be removed for between two and four hours every day, patients can brush and floss their teeth without impediment while eating and drinking whatever they wish. The benefits associated with Invisalign® make them seem too good to be true – yet they are very much true. What may also seem too good to be true for many patients is the cost of Invisalign®. Many people assume that, because the Invisalign® system offers so many advantages over traditional metal braces, it must be considerably more expensive. However, the truth is that the cost of treatment with Invisalign® is comparable to the cost of treatment with conventional wire-and-bracket braces. Of course, Invisalign® is such a cosmetically beneficial treatment that no insurance plan could possibly cover it – right? Actually, many dental insurance plans that cover traditional braces provide similar coverage for Invisalign®. And if your insurance plan doesn’t cover Invisalign®, or you don’t have dental insurance, you can discuss Invisalign® costs and financing at our Chicago office during a confidential, one-on-one consultation with Dr. Jessica T. Emery. Are you a good candidate for Invisalign®? We invite you to meet with Dr. Emery at Sugar Fix Dental Loft to find out for yourself at your earliest convenience. The severity of your orthodontic issue, which will determine the number of custom aligners that must be produced in order to achieve the best possible results. The amount of work that must be performed prior to treatment, including any periodontal treatment, treatment of tooth decay, or tooth extraction. Whether Invisalign® is being performed on its own or in conjunction with other cosmetic dentistry options such as teeth whitening as part of a smile makeover. Whether your insurance policy covers Invisalign® treatment in whole or in part. Whether Invisalign® is the only orthodontic treatment necessary to achieving optimal results. What are my Invisalign® financing options? At Sugar Fix Dental Loft, we realize that premium dental care represents a significant investment for many people. This is why we work with reputable third-party financing companies that provide little to no-interest financing options, such as CareCredit®. Patients who qualify for financing can receive the treatment they need, including Invisalign®, when they need it, and make affordable monthly payments. To learn more about Invisalign® costs and financing options, please contact Sugar Fix Dental Loft today.